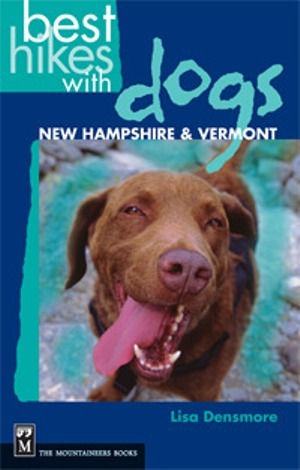 Best Hikes with Dogs: New Hampshire & Vermont, by Lisa Densmore, 2005. Good descriptions of 52 pooch-friendly treks, with topo maps and difficulty ratings for dogs. Includes excellent introductory section on hiking with dogs, including canine first aid. 256 pp, 5 1/4" x 8 1/4."